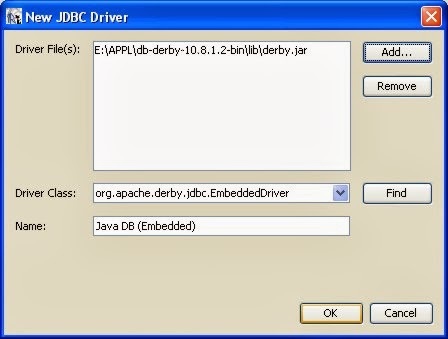 - download derby.jar (database library). 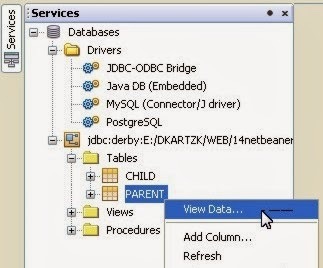 - download sample database (Java DB - Apache Derby 10.8.1.2). On GoogleDrive page, choose menu: File -> Download. 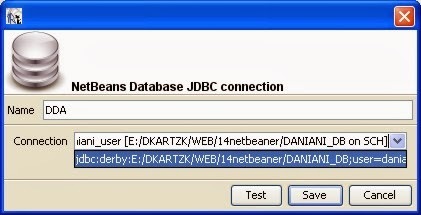 This file contain database=DANIANI_DB; user=daniani_user; password=daniani_pwd; schema=SCH. Then extract it in a certain location. Click Add button, then search derby.jar. 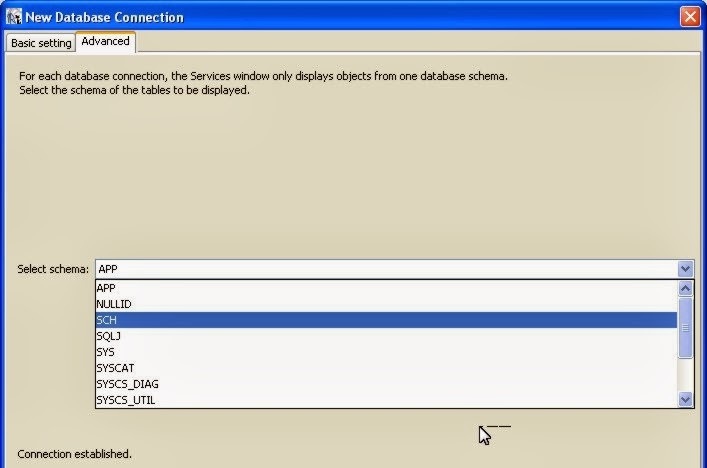 On tab Advanced, select schema to SCH (my schema). 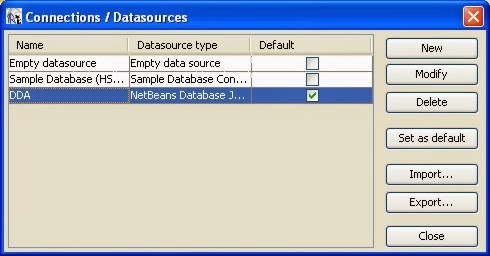 On toolbar click Datasource button. 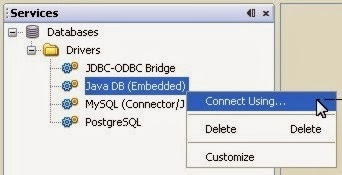 set Name = whatever (example: DDA), and choose Connection. We 'll see, then Close. 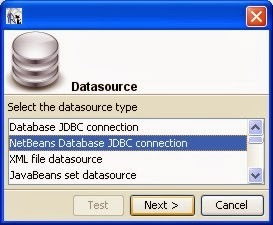 The datasource 'll be shown. 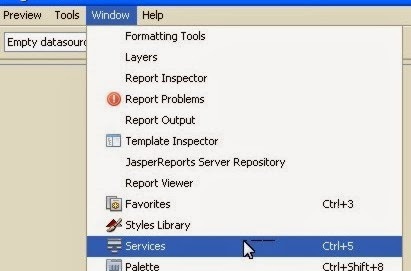 This step for our next discussion about i-Report.